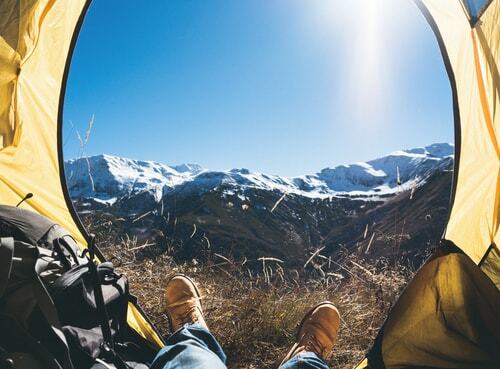 What can camping or spending time in nature teach you about saving money? It’s a fair question, as on the surface they seem completely unrelated. But spending time in nature can cultivate in you a state of mind that can be very beneficial when it comes to making a budget for both splurging and saving. 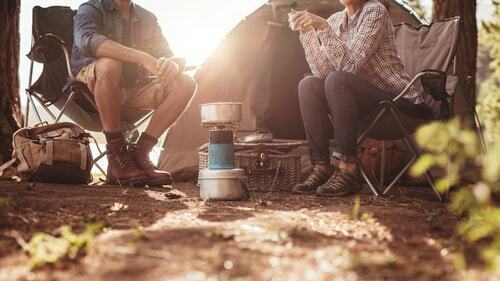 Roughing it can ultimately give you a better perspective on what you can do without, and a greater appreciation for the simple pleasures in life. Ready to learn how a camping trip could completely change the way you view money and material wealth? 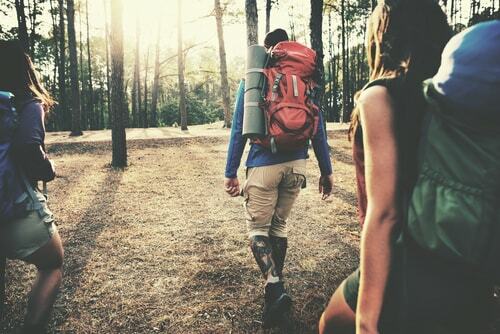 Here are 3 lessons that a trip to the great outdoors can teach you about money. Quick quiz: how many stores are there in nature? The truth is that when we go camping or on long hikes we have to depend on what we bring with us, or find what we need along the way. There’s no running out to the store for milk at two in the morning when you’re in the great outdoors. And this is just the type of lesson we should apply to our finances. Often we feel like we have to have things the moment we want them, but gratifying these impulses is a negative behavior that will cost you in the long run. You survived without that milk at two the morning when camping, didn’t you? In the same way, you can survive without the newest model of smartphone or laptop. You can simply make do with what you have now. This is an important lesson when it comes to applying your nature mindset to your finances. When planning nature walks or hiking, you quickly learn not to try and walk farther from camp than you’re capable of walking back. It’s good to challenge yourself when hiking, but no one wants to be stuck in the woods when it's dark because you thought you could cover more distance than you could. The same is true with money. While it’s ok, and sometimes even a good idea, to swipe the plastic or get a California title loan in the appropriate situation, you need to always be mindful that loans have to be paid back, with interest. Always weigh your financial decisions carefully before committing, because you can’t afford to be lost in the woods when it comes to money. Today’s world feels like constant attacks on every one of our senses: music, video games, movies, tv and ads, so many ads. And while there’s no need to cut all media out of your life, it can be important and beneficial to take a break from the onslaught from time to time. It can feel very strange to experience a total lack of digital stimuli for the first time, but simply existing in the metaphorical silence can give you an important perspective on your life. The truth is that many of the daily sources of stimuli we face are ones we inflict on ourselves. And not only do they take a toll on our sanity, but they can also put a dent in our wallet. So, the next time you’re thinking of adding another source of digital distraction into your life, try thinking back to the peace and tranquility of the woods and consider whether this new gizmo or gadget will bring happiness to your life or simply leave a void in your wallet and soul.